Sometimes in the design world we take ourselves way too seriously. Like, way. Ok, maybe just all of us do that. Life gets busy, jobs must be done, kids must be raised, yards must be mowed. Notice all the periods in these sentences? Way! Too! Serious! So let’s shake it up a little, and vow to add some charming, cheeky and funny home decor ideas here and there in our homes, to spark a smile and to remind us that life is too short not to have some fun too! These DIY graphic laundry baskets from ‘Studio DIY’ are perfect for the master bathroom in our house! Love the playful sayings and the fresh color. I especially love they are made from inexpensive seagrass baskets and vinyl letting from the craft store. Easy tutorial. Cute and funny home decor ideas! Below we have an adorable sign from ‘Greatest Love Designs‘ on Etsy. This “Seeking Sole Mates” sign is actually a really useful piece for your laundry space! You could make this as DIY home decor if you aren’t interested in buying one. Just with some wood, stencils, paint, and some clothespins. Got a boring powder room stuck in the corner somewhere? Loving this cheeky door sticker! These are available on Ebay and you can find them on Etsy too, usually for less than $5. You could DIY a version if you are handy with a paintbrush, but for that price, why? So cute! 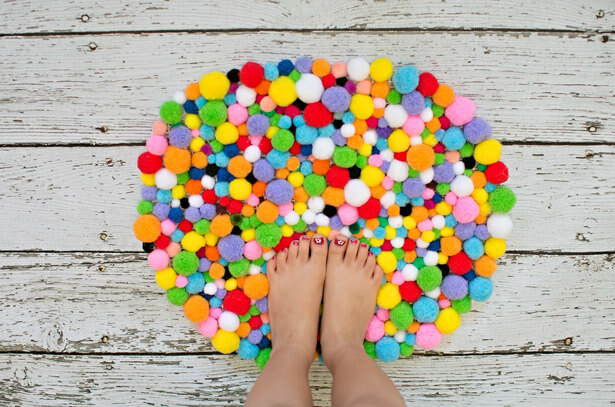 This next one is a DIY easy pom pom rug from ‘Hello Wonderful’. What a cute way to remember that life is colorful, folks. Or it can be, if you remember to look for the bright shades that pass through your day! Great home decor ideas are usually the ones that catch your eye! 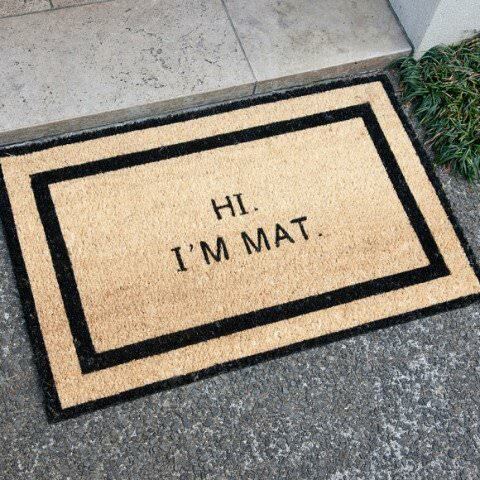 I love this doormat. Nothing like making visitors smile even before they come in! This is available at ‘Odd Gifts‘, (Honey, gift list!) but we started thinking of how we could help our DIY’ers for those who don’t want to buy theirs. Lucky for us, ‘I Spy DIY’ has a tutorial for a very similar project for their DIY welcome mat. You could really easily adjust the words to say any cute saying you wanted. (Google for ideas!) Funny home decor ideas don’t have to be difficult or expensive. And we love the idea of showing off your sense of humor right at the door! 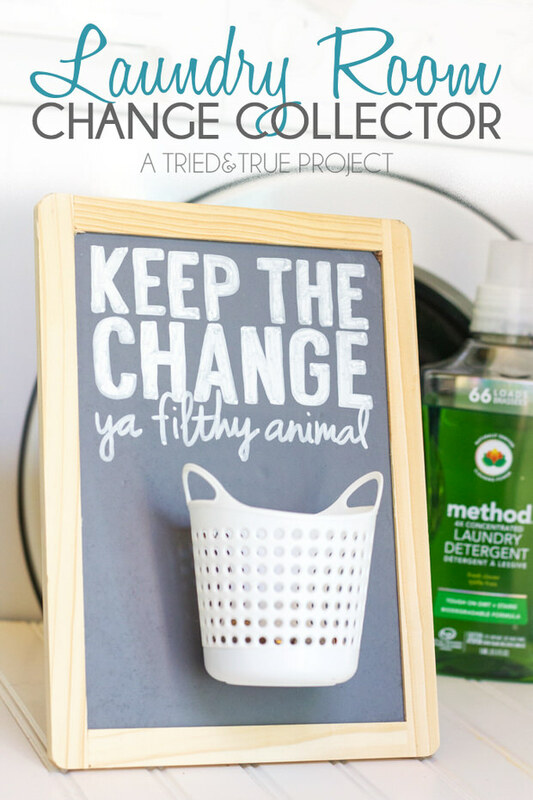 From ‘Tried and True’, this DIY laundry room change collector comes complete with full tutorial, and free “Filthy Animal” printable. (“Home Alone”, readers?) Ya gotta love when creative bloggers find ways to make the mundane fun. So I have a few chalkboards around, and while I know the Pinterest chalkboard home decor craze has cooled, I still love them. Mostly because I love being able to change up inspirational saying regularly, and throw a cute one in there from time to time to keep my family on their toes. 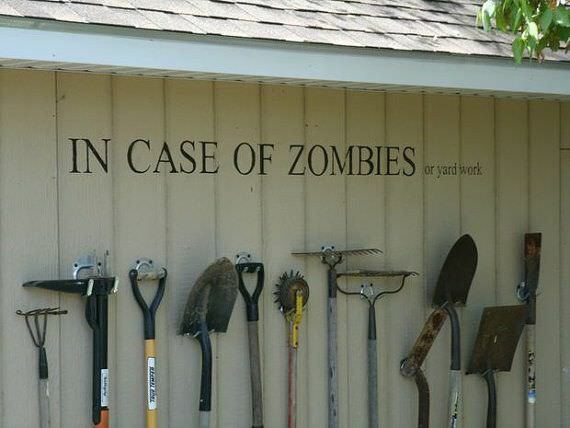 No idea where this photo came from, but how easy is it to add a witty saying to your home every once in awhile? 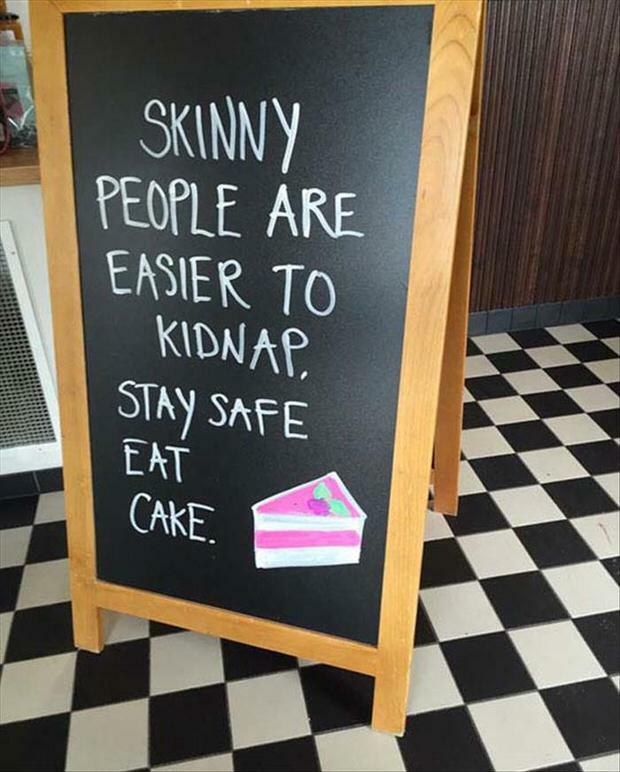 More funny home decor ideas for creating an easy to make chalkboard or painted sign… Or remember, signs like this are inexpensive on Ebay! Bring your bolder sense of humor out to the garden with this wall sticker from ‘Scribbles on a Wall‘. Yep, you could DIY it. You know the drill. 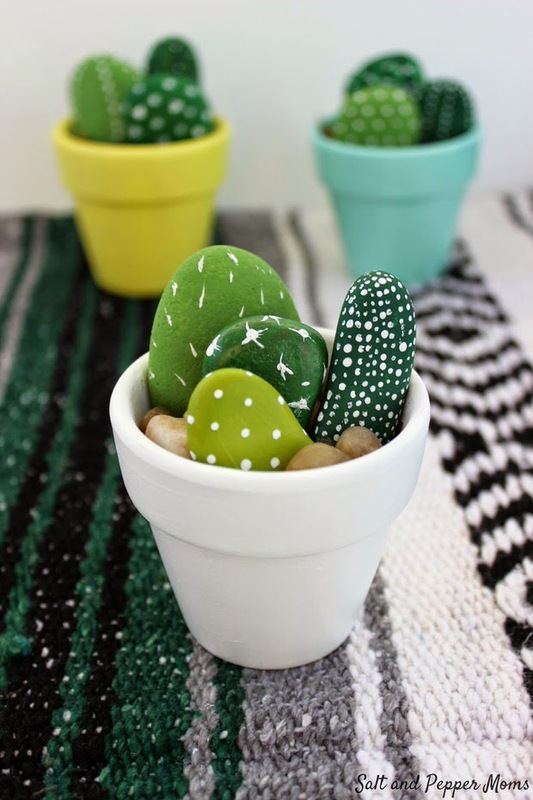 These cute DIY painted cactus from ‘Salt and Pepper Moms’ is one of those that you have to look at a minute before it becomes clear. Yes, they are rocks! The most charming prickly plants I ever saw! 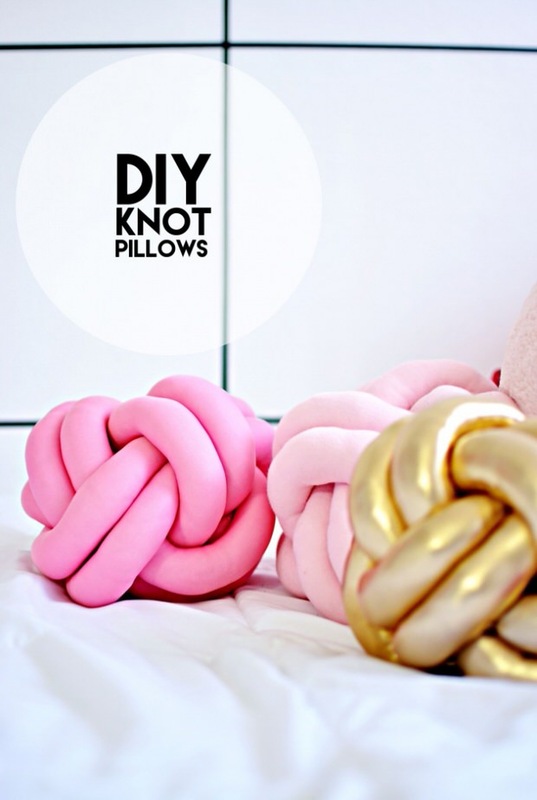 These DIY knot pillows from Angie at ‘Little Inspiration’ are just freakin’ fun, ok? That’s it, just plain fun. 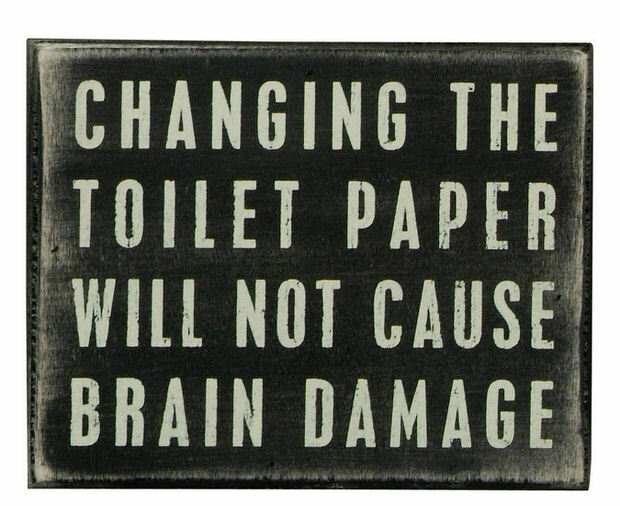 Love this type of funny home decor ideas. Keeps us thinking! 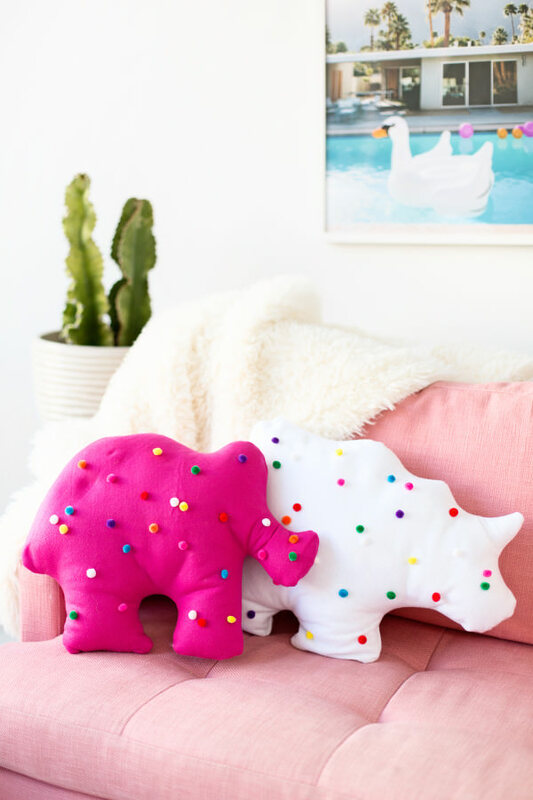 Last, again from ‘Studio DIY’ we have these super adorable DIY circus animal cookie pillows. These would be an unexpected splash of childhood in any room! So hopefully you got a smile (and some inspiration) from our post on Decorating with Whimsy, Funny Home Decor Ideas! We think you will also love our posts, Step on It! DIY Area Rugs and Creative DIY Door Mats!